Writing is an art form. To write well, you must practice and revise and rework. And when all that work comes together, the outcome is harmonious. 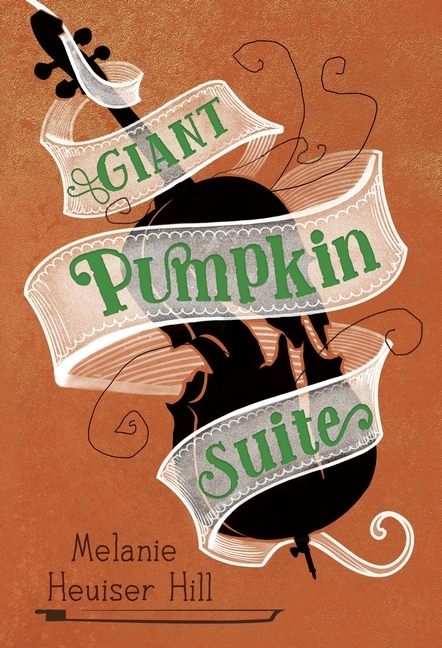 Such is the case with Melanie Heuiser Hill’s Giant Pumpkin Suite. Rose and her twin brother, Thomas, are about as different as two people can be. No one would ever guess they’re twins. Rose is tall, and smart, and musically talented in a way that makes people sit up and take notice. Thomas doesn’t care for school — particularly math and reading, and would much rather spend time outdoors than doing homework. Rose is all business when it comes to her music. She’s training for the upcoming Bach Cell Suites Competition, and her OCD tendencies are both helping and hampering her progress. When the twins’ neighbor, Mr. Pickering, is injured, Thomas happily agrees to help him with a he project — growing a giant pumpkin in his back yard. Sensing the pumpkin project might be good for Rose, too, Rose’s music teacher sends the prodigy out into the garden. In the beginning, Rose begrudgingly helps out, but as the weeks pass, she realizes she kind of likes it. When a serious accident threatens to derail Rose’s future, Rose is forced to look at the world through the eyes of others. There are so many things to like about Giant Pumpkin Suite: the brother-sister relationship, science, music and friendship. Rose is a complex character whose nature makes her a little off-putting but her heart makes her endearing. The ying-yang balance between the twins is essential to the success of Giant Pumpkin Suite. Thomas’ light-hearted nature adds some humor and heart in just the right places. In particular, I appreciated the author’s use of Charlotte’s Web throughout the novel. Charlotte’s Web is Rose’s favorite book, and it helps readers remember that even though Rose is gifted, she’s still a child. In addition to Rose, Thomas and Mr. Pickering, there’s a slew of quirky characters that not only ground Rose’s world, but add a nice overall seasoning to the book as well. Without giving anything away, I will say that the accident scene was one of the most heartbreaking, cringe worthy chapters I’ve read in a while. I figured out what was going to happen just prior to it happening, and I had tears in my eyes as I read it. Kudos to Melanie Heuiser Hill for creating a novel I want to read and reread time and again.